Images and emotions play a key role in brand recall. Customers will never forget a brand name that makes them feel that it cares for the well being of them. 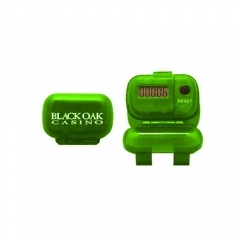 To benefit with such an attitude you should consider a good promotional give away like a custom single function pedometer that could grab the heart of your customers. To be a part of promoting the good life of the people, nothing works better than a promotional single function pedometer. It has a large display that displays the step counts up to 99,999. These are quite convenient to handle. You can get your brand name and logo imprinted on to the surface of the flip lid of a red personalized single function pedometer.